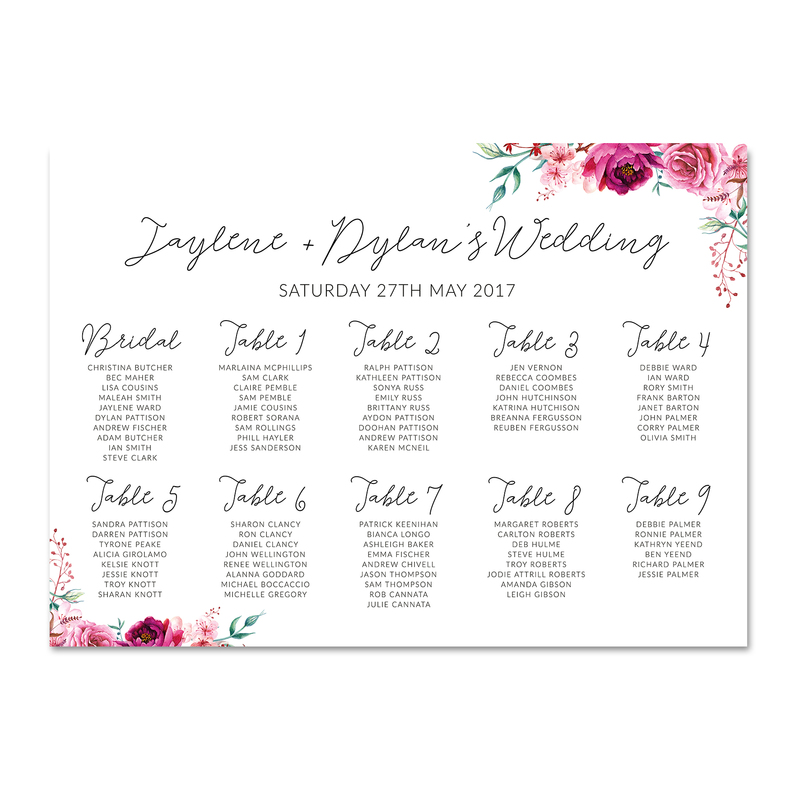 Seating Charts are a beautiful way to show your guests where you have chosen to seat them at your wedding reception. Combined with matching place cards, menu’s and signage; a seating chart will set the scene for a dreamlike wedding. 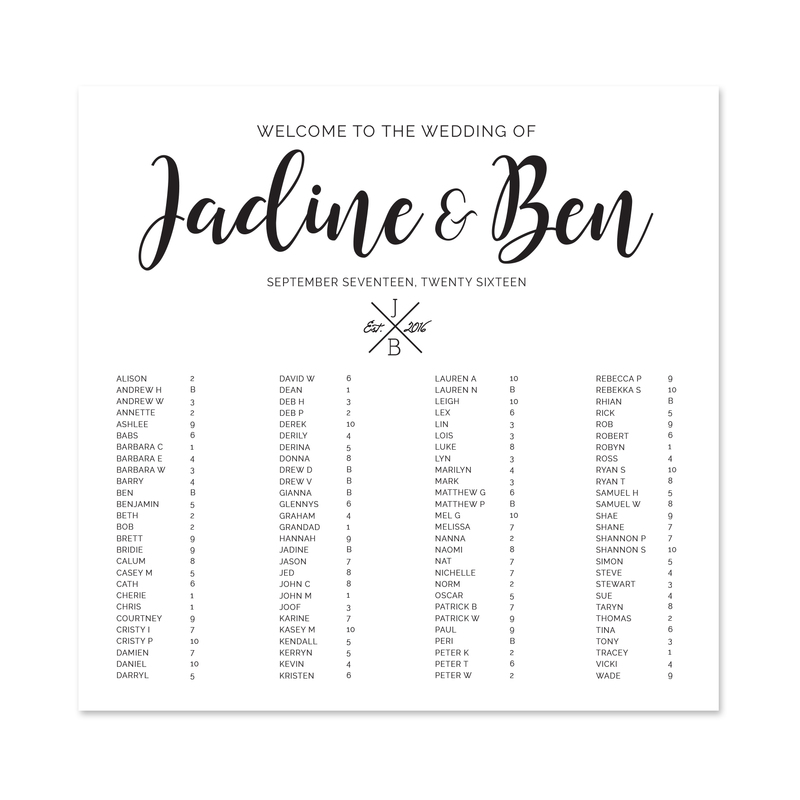 Choose from alphabetical order, table number order or a banquet style layout to compliment your wedding styling. Our seating charts can be printed onto 250gsm card stock or a solid corflute board in A3, A2 or A1 sizes. Want to place an order? Click here to request a quote or find out more information.